Calaméo - Clear Backpacks - Are They Justified To Be Used? Clear Backpacks - Are They Justified To Be Used? 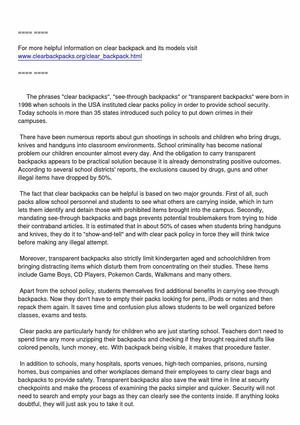 Essential information on clear backpacks which include different models for kids and school use and are great for providing safety in crowded areas.